Cheng-Lin Liu received the B.S. degree in electronic engineering from Wuhan University, Wuhan, China, the M.E. degree in electronic engineering from Beijing Polytechnic University (currently Beijing University of Technology), Beijing, China, the Ph.D. degree in pattern recognition and intelligent control from the Institute of Automation of Chinese Academy of Sciences, Beijing, China, in 1989, 1992 and 1995, respectively. He was a postdoctoral fellow at Korea Advanced Institute of Science and Technology (KAIST) and later at Tokyo University of Agriculture and Technology from March 1996 to March 1999. From 1999 to 2004, he was a research staff member and later a senior researcher at the Central Research Laboratory, Hitachi, Ltd., Tokyo, Japan. 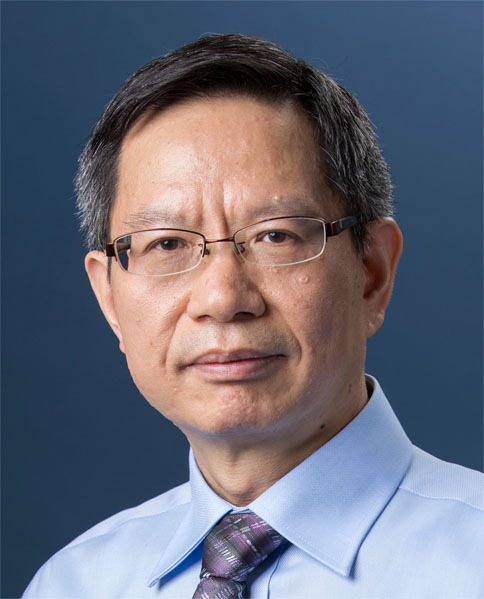 From 2005, he has been a Professor at the National Laboratory of Pattern Recognition (NLPR), Institute of Automation, Chinese Academy of Sciences, Beijing, China, and is now the director of the laboratory. His research interests include pattern recognition, image processing, neural networks, machine learning, and especially the applications to character recognition and document analysis. He has contributed many effective methods to different aspects of handwritten document analysis, including image pre-processing, page segmentation, feature extraction, classifier design, and character string recognition. His algorithms have yielded superior performance, and have been transferred to industrial applications including mail sorting, form processing and Web document retrieval. He has published over 200 technical papers at prestigious international journals and conferences, including IEEE T-PAMI, IJCV, Pattern Recognition, IEEE T-NNLS, IEEE T-IP, ICPR, ICDAR, CVPR, ICDM, AAAI and IJCAI. He won the IAPR/ICDAR Young Investigator Award of 2005, and received the Outstanding Youth Fund of NSFC in 2008. He is an associate Editor-in-Chief of Pattern Recognition Journal, and associate editor of Image and Vision Computing, International Journal on Document Analysis and Recognition, and Cognitive Computation. He is a Fellow of the IAPR and the IEEE. 1. Theory and Methods for Big Visual Data Understanding, NSFC Innovation Group Fund (61721004), 2018-2023. 2. Analysis and Understanding of Document Images in Network Media (AUDINM), NSFC-ANR Project (Grant 61411136002), Jan. 2015-Dec. 2018, Co-PI (with Jean-Marc of University of La Rochelle). 1. Brain-Inspired Learning of Neural Networks, Strategic Priority Research Program of the CAS (Grant XDA02060009), 2015-2017, PI. 2. Visual Perception and Semantic Computing, Strategic Priority Research Program of the CAS (Grant XDA06030300), 2012-2016, PI. 3. Sensory Data Computing and Understanding in Physical Space, National Basic Research Program of China (973 Program) Grant 2012CB316302, Jan. 2012-August 2016, PI. 4. Recognition and Retrieval of Naturally Written Offline Chinese Handwritten Documents, Key Project of NSFC (60933010), Jan. 2010—Dec. 2013, PI. 5. Multimedia Recognition Technology Development for Renmin Search, Renmin Search Co Ltd., Feb. 2012—March 2013, PI. 6. Pattern Recognition Theory, Methods and Applications, Outstanding Youth Fund of NSFC (60825301), Jan. 2009—Dec. 2012, PI. 7. Video Caption Text Recognition, Beijing TVmining Tech Ltd., March 2011-March 2012, PI. 8. Information Fusion and Parameter Learning for Handwritten Character String Recognition, NSFC (60775004), Jan. 2008–Dec. 2010, PI. 9. Radical-Based Online Handwritten Chinese Character Recognition for Mobile Computing, supported by Microsoft Research Asia, April 2007–March 2008, PI. 10. Pattern Recognition Theory and Methods, Hundred Talents Program of the CAS, Jan. 2006–Dec. 2008, PI. 11. High Accuracy Chinese Character Recognition Based on ECOC, NSFC (60543004), Jan. 2006–Dec. 2007, PI. 12. Advanced Technology for Pen-Based Memorandum Recognition and Understanding, supported by Central Research Laboratory, Hitachi Ltd., April 2005–March 2009, PI. General Co-Chair, 3rd Asian Conference on Pattern Recognition (ACPR 2015), Kuala Lumpur, Malaysia, November 3-6, 2015. 9th IAPR-TC15 Workshop on Graph-based Representations for Pattern Recognition (GbR 2013), Vienna, Austria, 2013. 7. ICFHR2014 Best Poster Award, Yichao Wu, Fei Yin, Cheng-Lin Liu, Evaluation of geometric context models for handwritten numeral string recognition. 8. ICFHR 2014 Competition on Handwritten Digit String Recognition in Challenging Datasets, First Place, Yi-Chao Wu, Fei Yin, Chang Zhong, Cheng-Lin Liu. 11. Best Poster Award, Da-Han Wang, Cheng-Lin Liu, Dynamic Text Line Segmentation for Real-Time Recognition of Chinese Handwritten sentences, 11th ICDAR, Beijing, China, 2011. Document Analysis Research at the NLPR, August 2014.